The iconic star-crossed lovers find themselves in a concept-crossed show that leaves one wondering which was the greater tragedy: the lives that might have been or the show that might have been? Regent University Theater opens this year’s season with a Shakespeare classic that hails itself as a story of never so great a woe. Unfortunately, this particular version adds another layer of woe due to a mixture of artistic choices that fail to blend. I knew beforehand that the show was set in 1969, but for someone unaware of this, the costumes and tone will make even less sense. When done properly, this significant and moving play of Shakespeare’s conveys the serious consequences of petty arguments and rash romance. Though Romeo and Juliet take their relationship seriously, the audience is not to do the same. The two are meant to be young, dumb, and in love. This particular performance, however, elevates the more foolish aspects of Juliet and Romeo, which makes it difficult to take the play seriously when it needs to be. It isn’t all poison and daggers, however, as there are a few aspects that deserve honorable mention. Let us forthwith discuss, shall we? With nearly every Regent show, I can always count on the lights, sets, costumes, and music to blend in a visually striking tapestry that elevates the material and the performances. Of those elements listed, this show only strongly delivered in two categories. The lighting was beautiful, casting the perfect shades of color for each scene, evoking rich moods and emotions based on each scene’s tone. The set, though simplistic in design, allowed the actors to fill it with their energy and life, and had it been any more detailed, it would have clashed with the exquisite costumes. And here begin our troubles. The two opposing families of the show typically have two distinct looks to distinguish them from the other. Being set in 1969, the costumes resulted in a strange conglomeration that seemed to be a character all its own, and a very divided one at that. The House of Montague established a look akin to a biker gang on their way to Woodstock. The House of Capulet was an even greater mess. It was clear they were supposed to be wealthy, but Juliet’s Nurse wore a traditional black dress of her profession, while Tybalt went from a preppy tennis outfit to kung-fu robes, and the servants looked painfully out of place dressed like clerks from your local Kroger’s. Several of Juliet’s outfits were striking, but some also seemed out of place with the characters around her. I will say that Lady Capulet’s wardrobe was on fire for every scene, and Lady Montague once appeared in a pair of wild neon orange boots that I almost wanted for myself. As a whole, the costumes were chaotic and disjointed. The music also added to this imbalance, as many of the songs picked for the transitions, though appropriate for the time period, set many of their following scenes in a mood that did not match the tone of the story or the actor’s emotions. That being said, the actors did the best they could with the material they were given. They all carried an energy with their characters, which kept the show from being dull, as it very easily could have been. Brandon Wetch and Kaitlin Clabbers hold their weight as the title characters and effectively convey the wild and youthful passions that accompany young love. But as previously mentioned, it is often hard to take them seriously due to the more colorful and disconnected approach that the show takes tonally. The supporting cast of the show is also strong, especially the Lords and Ladies of both houses, and Friar Lawrence, who delivers a powerful performance in the final scene. But the real standout of this show is Hanna Mitchell as Mercutio. Not only is the role genderbent, which works marvelously, but Mitchell brings a spark and intrigue not commonly found in portrayals of this character. Her presence was sorely missed in the second act. Most of the actors deliver Shakespeare’s lines with a seamless charisma or dismay, depending on the scene, and the more witty, comedic scenes are especially enjoyable. Enjoyable as the comedic moments are, the overall tone of the show itself is too lighthearted. By the time the characters begin to ramp up the drama and tragedy, it doesn’t fit with the tone of the show overall, and you hardly expect it to end with Romeo and Juliet taking their own lives. They do, of course, and in very moving performances. But it’s hard to connect or even care for them, due to the show setting itself up more like a comedy than a tragedy. One particularly moving scene is Juliet’s turmoil in her bedroom as she prepares to the drink the sleeping potion. Awash in pink and purple hues, the moment is a grim foreshadowing of the horrors to come. I thought here the tone might finally shift into that necessary, darker mood. But in the very next scene, though Juliet is draped in ghostly white lace, her deathbed is pushed by the servant Kroger clerks (?) and followed by Lord and Lady Capulet, who look as if they dressed for Easter Sunday and not their daughter’s funeral. And the pacing of the play is bumpy, so when the tragic death scenes do occur, the audience isn’t sure quite how to feel. Many viewers actually chuckled at scenes that should not have warranted that kind of a response. The greatest tragedy of this show was the potential for a truly riveting performance. If the play had taken a more traditional route in terms of costume, music, and concept, or even a modern concept that was more uniform, the actors’ deliveries could have been much stronger. The artistic choices just seemed out of place and left much to be desired. If you are considering seeing the show yourself, at least see it for Mercutio’s fiery performance and Lady Capulet’s killer Crazy Rich Asians wardrobe. Just be aware that the show plays like an odd love story where most of the characters appear to be living in different time periods and in some cases, completely different stories. 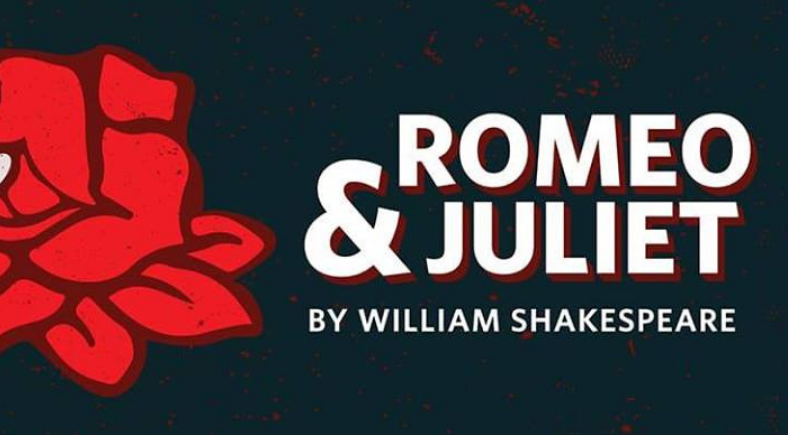 Romeo and Juliet will play in the Main Theater October 19, 20, 26, and 27 at 7:30 p.m., and on Oct 21 and 28 at 2:30 p.m. To purchase tickets, you can visit the Regent University box office in the Communications Building (Monday through Friday, 1-5 p.m.) or go online.